This lovely ad will appear in the February 2009 edition of PREVIEWS. 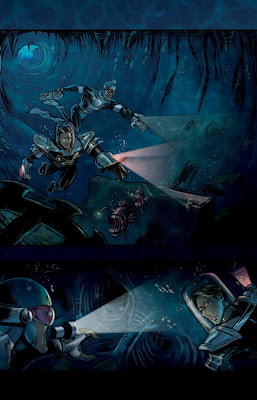 Please tell your local comic book store to order! Diamond Code still to come! I want to wish all of you a safe and happy holiday! 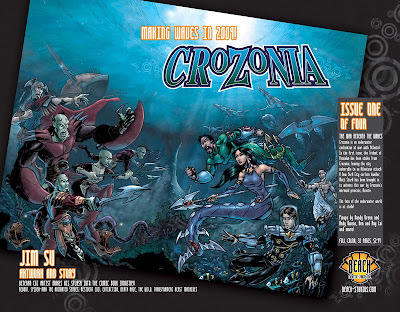 The online retailer, Eagle One Media is offering the entire Crozonia #1 for download for only $1.99! Want to try out an issue without paying for shipping? It's only two bucks! About asians in the comic book industry. Also featuring fellow Toronto artists, Bobby Chiu and Kei Acedera! I've started a Facebook group to show off the studio's artwork. I use it to promote Crozonia to the Facebook crowd. Here is another spooky image! These past months have been the longest months for me! I have a huge project to announce, whenever the deal gets made. When it does, and hopefully before the Christmas break, we will be making as much noise as possible!